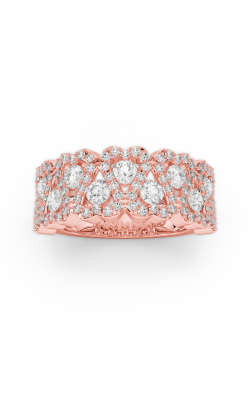 For over 35 years, Amden Jewelry and its mother company, Ital Gold Inc., have been cornerstones of the jewelry industry, designing bridal jewelry that expresses the unique tastes of the men and women looking to commemorate their happiest day. 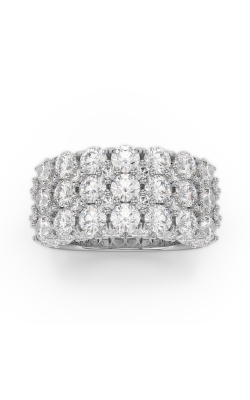 At BENARI JEWELERS, we’re proud to be an authorized dealer for the diamond-studded beauty of Amden wedding bands. No matter whether you’re interested in rose, yellow, or white gold, Amden has a band that will dazzle you and your loved ones. One of our favorite collections is the Glamour collection. The name of the collection is appropriate—the Glamour collection takes advantage of shape to create unparalleled designs. But whether you’re interested in a shape like interwoven lattices, twined knots, spinning ribbons, or linked octagons, the Glamour collection is loaded with treasure troves of perfect diamonds—with up to 49 of the beautiful stones, you can be sure that your selection will be a fiery ray of sunlight on your finger. Additionally, the Seamless collection is a work of art too. The name “seamless” refers to the fact that the waterfall of diamonds selected for these Amden wedding bands are packed so tightly and professionally that they refract light through each other like a shimmering river. In addition to the white diamonds that Amden utilizes, this collection also takes advantage of the canary-colored perfection of yellow diamonds in many of its bands. There’s something special about pairing white and yellow diamonds, especially when they’re also paired with two tones of gold. In all, the Seamless collection is a treasure for any wedding day. Why Shop for Amden Wedding Bands at BENARI JEWELERS? For over 50 years, BENARI JEWELERS has been serving upscale bridal jewelry to the men and women of Exton and Newtown Square, Pennsylvania. We have customers coming from the nearby Philadelphia, Bryn Mawr, and West Chester areas for our selection of Amden wedding bands, as well as our collections from other wedding band designers. In addition, we at BENARI JEWELERS pride ourselves on being a full-service jeweler. You can trust that we have the kind of services that our customers find eminently useful. As well as jewelry and timepiece repair, we offer top prices for your unwanted gold, diamonds, and watches. Visit our Exton and Newtown Square, PA showrooms today to find out more!